As International Women’s Day, 2018 comes to a close, I’m taking a moment to thank a few of the many inspirational women I’ve admired over the years. Some I know personally, some I’ll never meet. But each of them has taught me something about what it is to be a woman. Of course, there are many men who inspire me too. But, I’ll write about them on International Men’s Day (yes, there is one, it’s 19 November). Today, I’m all about celebrating and thanking just a handful of the strong, generous and courageous women that I admire. I’m starting with a woman who’s had a significant impact on my life and business. 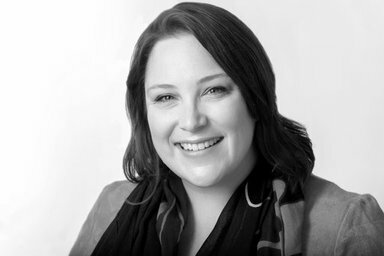 Kate is a copywriter, SEO queen, misfit entrepreneur and a truly lovely human. When I first started thinking about copywriting as a career, I stalked followed Kate all over the interwebs. Her blog, Recipe for SEO Success courses and Hot Copy podcast became my training ground. And when I decided to dive into my copywriting business, I joined Kate’s Clever Copywriting School immediately. Kate has been instrumental in teaching me how to run a successful copywriting business, and she’s introduced me to a wonderful community of fellow copy-beasts who I learn from every day. Thank you, Kate! Find out more: You can learn all about Kate in her fabulous book, Confessions of a Misfit Entrepreneur. I love and adore Lauren Bacall. I first discovered her when I was 15, and looking for a distraction from homework in the library. I came across her autobiography, By Myself and decided to give it a go. I was immediately transported to 1940s New York City, and immersed in the story of a young woman setting out to forge her way in life. A life that would take her from modelling in Harper’s Bazaar and Vogue to Broadway and Hollywood, and to falling in love with the superstar, Humphrey Bogart. Oh, how I loved reading about her life in that golden era, featuring the likes of Spencer Tracey, Katherine Hepburn and many more. Lauren Bacall’s story entails countless things that many women face, like juggling motherhood and career, and the death of one spouse and divorce from another. Her life was full of beautiful highs and heartbreaking lows. I thoroughly loved reading her story, and I return to it at least once every few years. To this day I carry a copy of this passage in my wallet, ‘I’m not ashamed of what I am – of how I pass through this life. What I am has given me the strength to do it… I have a contribution to make. I am not just taking up space in this life. I can add something to the lives I touch. I don’t like everything I know about myself, and I’ll never be satisfied, but nobody’s perfect. I’m not sure where the next years will take me – what they will hold – but I’m open to suggestions.’ Lauren Bacall. Find out more: Read By Myself, and watch To Have and Have Not and How to Marry a Millionaire, two of my favourite Bacall movies. 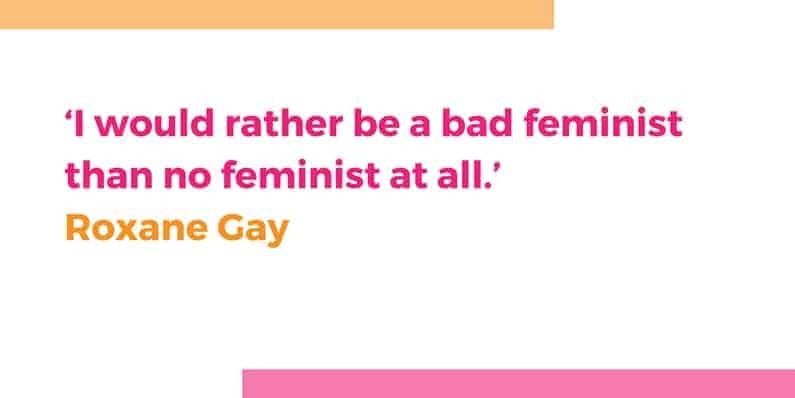 Roxane Gay is an author, professor and New York Times contributor. I’ve only read two of her books so far, Bad Feminist and Hunger. I’ve been struck by her authentic style of writing. A style that seems to resonate with women from various cultures, backgrounds and identities. It certainly resonates with me. I didn’t actually read Hunger. I listened to it as an audio book. Hearing Roxane tell her harrowing and bravely honest story in her own voice was powerful. I like Roxane’s direct approach. Her tell-it-like-it-is-style. And I love reading her words. Next on my list are An Untamed State and Difficult Women. Find out more: Read Roxane’s books, and follow Roxane on Twitter. I’ll admit, I’d not heard of Jacinda Ardern until she took over the leadership of the NZ Labour Party in August 2017 and went on to be elected Prime Minister just seven weeks later. But I am sure paying attention to her now. Of course, there are the obvious glass-ceiling-shattering things to admire. Yes, I love that she’s a young woman in a high powered job. Yes, I love that she’s about to become one of few leaders of a country to have given birth while in office. Yes, I love that in 2018 this doesn’t impact or define her ability to do her job. Yes, all of these things are wonderful. But it’s her style, ease with people and general good-natured approach that has caught my attention the most. Find out more: You can (and should) follow Jacinda Ardern on Twitter. 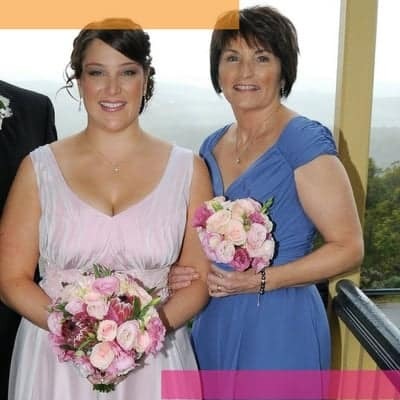 Of course, no list of inspirational women I admire would be complete without my mum. I am blessed to call Heather my mum. She is smart (so smart), loving, funny and fiercely protective of her children. My mum, like many mums, is always there for me. We haven’t lived in the same city for almost 18 years, but we talk at least three times a week. She’s my sounding board, my source of the latest movies, TV shows and podcasts to devour, and she’s often my moral compass. She was even my bridesmaid at my wedding. Of all the women who inspire me, she’s the best by far. Find out more: Mum doesn’t have a website. She doesn’t even have a Facebook page. But, if you want to find out more about this exceptional woman, get in touch. I could talk about her all day. This is a super short list. There are many, many, many more inspirational women I admire. My grandmothers (I was blessed in the grandmother department), my great-aunt Betty (we miss you already), relatives, friends, teachers, neighbours, colleagues, public figures, politicians… the list goes on. But today, I’m recognising these five and thanking them for what they’ve meant to me. Women are smart, funny, brave and fabulous. I’m so proud to be one. I’m lucky to live in a place where my daughter and I receive an education as a matter of course. I want that for all girls. In honour of International Women’s Day, I’ve decided to set up a campaign to help educate girls through One Girl. If you’d like to donate, please go to my campaign page. 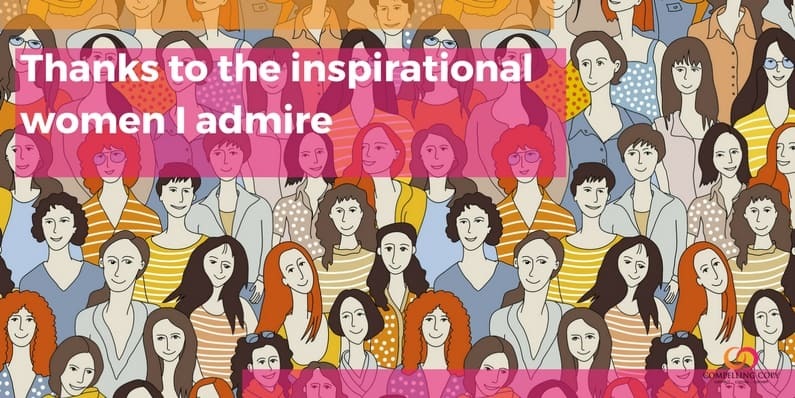 Who are the inspirational women you admire? How did they inspire you and help you to become you? I’d love to hear your stories.